Docuglide helps to improve workflow by simplifying processes involving reading, writing and typing. 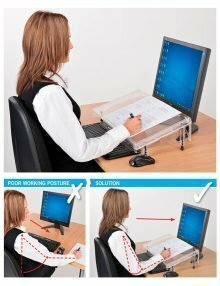 The device slides over the user’s keyboard so that changes can be made to a hard- copy document without the need to move the keyboard out of the way. 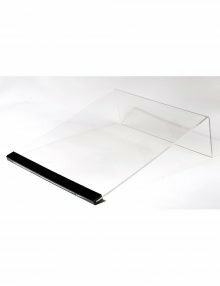 Accommodating three sheets of A4 paper side by side, this height adjustable slope is made from strong, lightweight clear perspex. 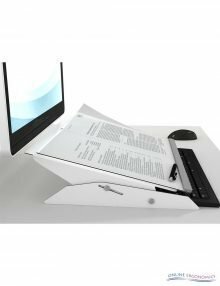 Combining a document holder and writing slope, the Flexdesk is height and angle adjustable. 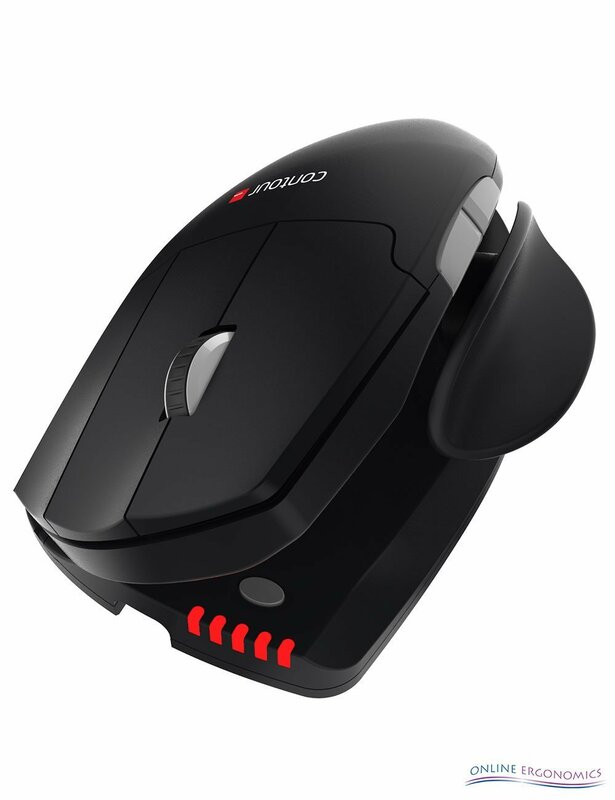 It offers two working surface positions, which lock into place with a magnetic catch. 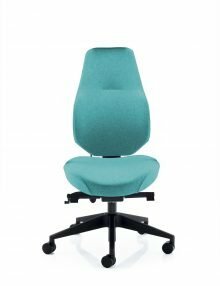 This enables the user to make optimum use of available workspace – especially useful in places like call centres, IT classrooms and anywhere where space is at a premium. 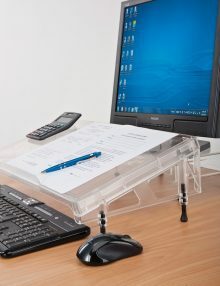 This strong, lightweight A3 adjustable writing slope in clear perspex can accommodate two sheets of A4 side by side. 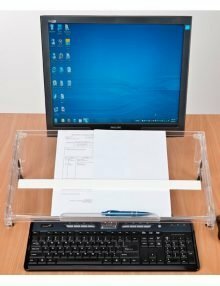 The MicroDesk is a unique solution allowing comfortable keyboarding and document reference in line with your keyboard and monitor. 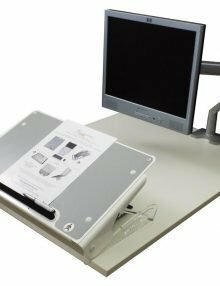 The MicroDesk has been specifically designed for keyboard users that need to refer to paperwork or documentation that has traditionally been placed to either side of the monitor or keyboard. 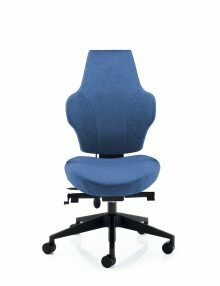 For use with a laptop on a docking station or a confined work area. 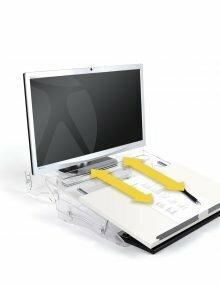 Designed for computer users who simultaneously need to read or write on documents. 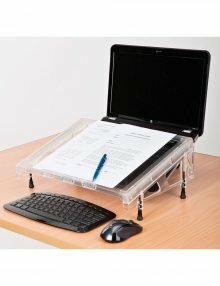 This dual-purpose accessory has a sliding top which converts it from an in-line document holder to a stable writing slope. 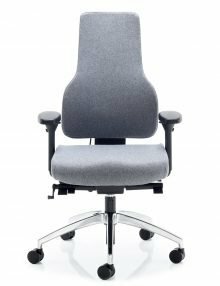 Features 4 height/angle settings 525 x 395 x 95-160 mm. Non-slip feet and non-reflective overlay. 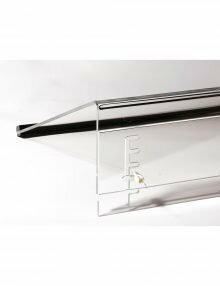 Strong, yet small and lightweight, this writing slope supports A4 papers and files. 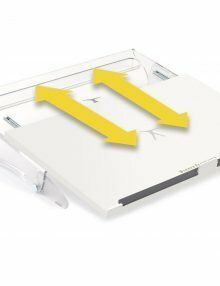 The U Slope Pro is the second generation in the U Slope range, which still offers benefits of an adjustable document holder and reading/writing slope. 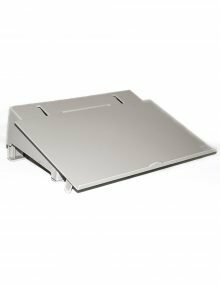 The U Slope Pro offers easier and quicker angle adjustment across 12 levels, a padded document shelf which quickly converts into a sturdy book holder.